Colors are matched as closely as possible. Due to differences in monitors, settings, and other limitations, actual thread color may differ slightly from what is shown on this page. Spool bottom base snaps down to release or up to held thread ends. 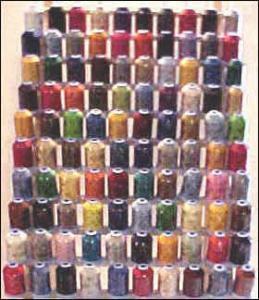 This package includes one spool of each of these Robison Anton Thread Colors PLEASE NOTE: Colors are matched as closely as possible. Due to differences in monitors, settings, and other limitations, actual thread color may differ slightly from what is displayed. Thread chart card not included with purchase, only used for reference.